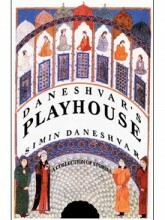 Mage has published in English two of the greatest classic Persian novels of all time: Savushun by Simin Daneshvar and My Uncle Napoleon by Iraj Pezeshkzad. 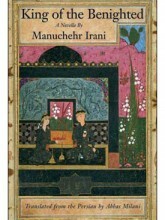 Mage’s fiction collection also includes Stories from Iran, which features the work of the best Iranian writers, amongst them: M. A. Jamalzadeh, Sadeq Hedayat, Bozorg Alavi, Beh’azin, Sadeq Chubak, Ebrahim Golestan, Jalal al-e Ahmad, Ahmad Mahmud, Jamal Mir-Sadeqi, Gholam Hosayn Nazari, Esma’il Fasih, Gholam Hosayn Sa’edi, Nader Ebrahimi, Bahram Sadeqi, Hushang Golshiri, Fereydun Tonokaboni, Goli Taraqqi, Mahshid Amir-Shahi, Mahmud Dowlatabadi, Shahrnush Parsipur, Moniru Ravanipur. 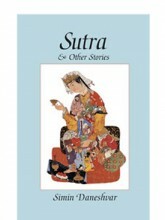 Stories from Iran, written during the last 75 years and arranged in chronological order, spans a period in Iranian history from the Constitutional Revolution (1906-11) through the long reign of the Pahlavis (1925-79), the upheavals of the 1950s, the 1979 Islamic Revolution, to the present.